Thanksgiving is just around the corner, which means that Black Friday and Cyber Monday are just around the corner as well. We’re all familiar with the sort of chaotic scenes that mark this occasion: customers camping out in front of stores the night before sales start, lines stretching back as far as the eye can see, stampedes and scuffles breaking out when the doors finally do open. The online side of things is hectic as well. Huge sales lead to high demand, and then there’s a massive amount of products that need to be delivered. How are you going to meet this increased demand while still ensuring that packages are not damaged or delayed? Well, the good thing is that you know demand is going to ramp up. You’re aware of it, you can anticipate it, so you can prepare for it. Having a route planner is critical for these two days. Dynamic routing software provides you with 100% accurate routes that account for traffic, weather, and other conditions that affect deliveries. Traffic gets bad around every Thanksgiving weekend, but with route planning software, you’ll know how to avoid it. Another advantage of Route4Me is that you can see exactly how much it will cost to expand into new areas. With our software, you can create mock routes and add the relevant constraints (for example, the hourly wages of your drivers and the current local gas prices) for all the prospective destinations. The program will then show you how much each route will cost. It’ll also show you how long it’ll take to complete the deliveries and how many drivers you’ll need. Access to this information will help you be much better prepared for the sale season. 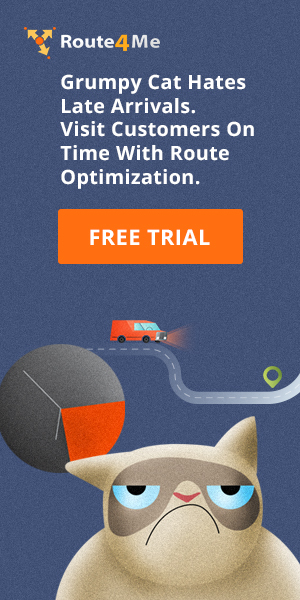 If you run an eCommerce business, you should look for route optimization software that focuses on eCommerce companies and all their little quirks. Generic software designed to serve many different industries might be useful to your eCommerce business, but this one-size-fits-all approach isn’t ideal. This is because eCommerce platforms like WooCommerce and Shopify don’t have route planning capabilities. So for most route optimizers, you have to manually move each order from your eCommerce platform to your route planning program. That takes a whole lot of time. 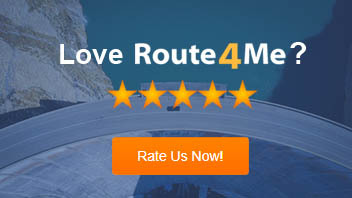 Route4Me isn’t generic, one-size-fits-all software. We’ve developed a plugin specifically for eCommerce businesses. This plugin automates online orders and deliveries and simplifies route planning, which means you can save time and make more deliveries with the same amount of resources. Whenever an order is received, the data is automatically saved in Route4Me. Easy peasy. Also, Route4Me’s WooCommerce plugin features a built-in geocoder that allows you to confirm the address listed for each order. Any non-existing address will be flagged in advance, which means you don’t have to worry about your drivers being sent to the wrong place and upsetting your customers with lengthy delays. You obviously have to store more products at your warehouse for these special discount offer days. You should also reserve some empty storage space for extra packages that may arrive at the very last moment, as last-minute orders are all too common during the holiday season. Here’s another tip: keep fast-moving goods near the operating areas so that they can travel out swiftly and free up room for other items. And if you own an online marketplace, you might have merchants that sell their products via your online portal. Make sure that these merchants are all stocked up before their sales start. You don’t want to get blamed for ill-preparedness by your customers when it’s actually a third party that’s dropping the ball. You’re going to need all hands on deck for these two days. It’s important to have a Plan B, too, in case any of your drivers or other staff members get sick or injured right before these sales. Identify people who have the ability and availability to come in on short notice and take over for a sick or injured staff member. Try not to stress your employees out with too much work, though, as tired employees are known to be less efficient employees. Balance their work hours as much as possible so that your team is well-rested and productive. Just as having an employee get sick or injured would be disaster during these hectic times, having a vehicle break down would be a disaster as well. Examine all your vehicles before Black Friday/Cyber Monday, and fix anything that needs to be fixed immediately. You want to impress your customers by promising short turnaround times, we get it. But you should never make a promise that you can’t fulfill. Your entire professional reputation is based on your ability to do what you say you can do. If you let your customers down, they won’t be your customers much longer. Sites like Amazon and Best Buy are flooded with visitors on Black Friday, and even a company that’s worth over $100 billion like Amazon sometimes has their site go down because of extra traffic. An outage could happen to your site as well. Just imagine all the profits you’ll miss out on if your site goes down during the busiest time of the year. Don’t let that happen. Rent extra bandwidth and make sure your site is able to handle four or five times more traffic as usual. The cost of a temporary bandwidth boost is a small price to pay for ensuring that your site doesn’t go down during the lucrative Black Friday/Cyber Monday holiday. Your drivers will have to work a lot harder than usual to make their deliveries on time during these two days. It’s easy for them to get overwhelmed and lose focus. To motivate your drivers and help them stay productive, you should give out gift cards, prizes, or maybe even something lavish like a vacation package to exceptional performers during this crazy weekend. Without good drivers, your business has little value, especially during a busy time like this. Make sure your drivers know that you know that. 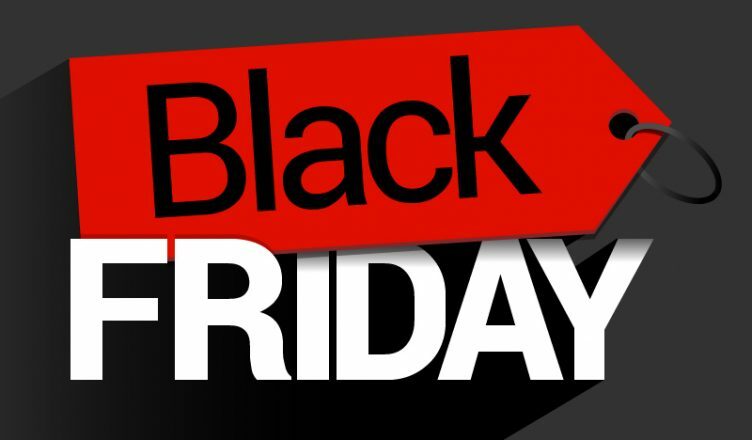 How prepared are you for Black Friday and Cyber Monday? Let us know in the comments section below.